Every 70 seconds someone is diagnosed with Alzheimer’s disease, which is a very long and slow death sentence, according to experts. Alzheimer’s is the most common form of dementia in the world. It is important to note that Alzheimer’s is not a normal part of aging, although aging is a risk factor. Unfortunately, Alzheimer’s is a progressive disease where memory loss gets worse over time. Individuals who suffer with this tragic condition lose their ability to carry on a conversation or respond to their environment. Prescription medicine is often used to treat symptoms of this debilitating condition, but much of it has uncomfortable side-effects. An increasing number of natural treatments are being investigated including curry powder. Curcumin is a rich antioxidant with anti- inflammatory properties that appears to hold some promise in the treatment and prevention of Alzheimer’s. When production of insulin in the brain slows down the brain starts to starve. It simply does not have the glucose energy that it needs for normal function. The brains of people diagnosed with Alzheimer’s are in a state of atrophy which leads to loss of memory, movement and eventually personality. Diabetics have a 65% increased risk of developing Alzheimer’s and the two conditions seem to be related in some way. Being a diabetic means that the body is insulin resistant while having Alzheimer’s means the brain is insulin resistant. According to several studies, eating curry containing turmeric a few times a week may help ease symptoms and even prevent Alzheimer’s disease. Interestingly enough, Alzheimer’s is rare in India where curry is a staple. One study found that when older mice with brain plaques were given high doses of curry, the plaques disappeared. In young mice, curry appeared to keep the plaques from forming in the first place. In another study, affected human proteins were placed in a test tube and curcumin was added. The curcumin kept the protein molecules from forming fibers that make up the plaque characteristic of the disease. Feed your brain curry a few times a week by adding it to soups, stews or rice. Next article5 Ways to Bust Through Your Diet and Exercise Rut! Hey Buddy!, I found this information for you: "How Curry Powder Can Battle Type 3 Diabetes". 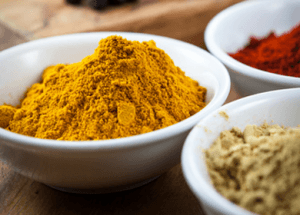 Here is the website link: https://www.thealternativedaily.com/how-curry-powder-can-battle-type-3-diabetes/. Thank you.